In the book Outliers: The Story of Success, Malcolm Gladwell studied the “outliers” — i.e. the most successful people of the world, including sportsmen, business people, musicians and scientists, to understand key factors behind their success. He found the key denominator to all their success isn’t natural aptitude as many like to believe. Having a high IQ doesn’t guarantee success: there is supposedly no difference in people’s propensity to succeed beyond an IQ of 130. The key denominator is actually hard work. A lot of it, in fact. About 10,000 hours of it. That’s roughly 3 hours every day, for 10 consecutive years, before any one of them began to be seen as the “expert” in their field. This finding isn’t shocking. I feel the concept of natural talent has become overrated, along with self-discipline. Often times, I see people letting go of their dreams because they claim they do not have the “talent.” Having an innate ability is definitely a nice bonus and great enabler, but the role it plays is lesser than what many may think. As what Malcolm Gladwell has found, even in fields like sports and music where many see the key to success as having an innate ability, consistent hard work has proven to be the more superior factor by far. This is the case even for established names like Tiger Woods, Michael Jordan, Johnny Wilkinson, Bill Gates, the Beatles, Beethoven, and Madonna. For most (if not all) of them, their hard work started right as a kid. It was through relentless training since young before they attained their kind of expertise today. Does this mean that everyone who is successful in their niche is so because they have invested exactly 10,000 hours? No, not necessarily. Some might have put in less hours, some more. 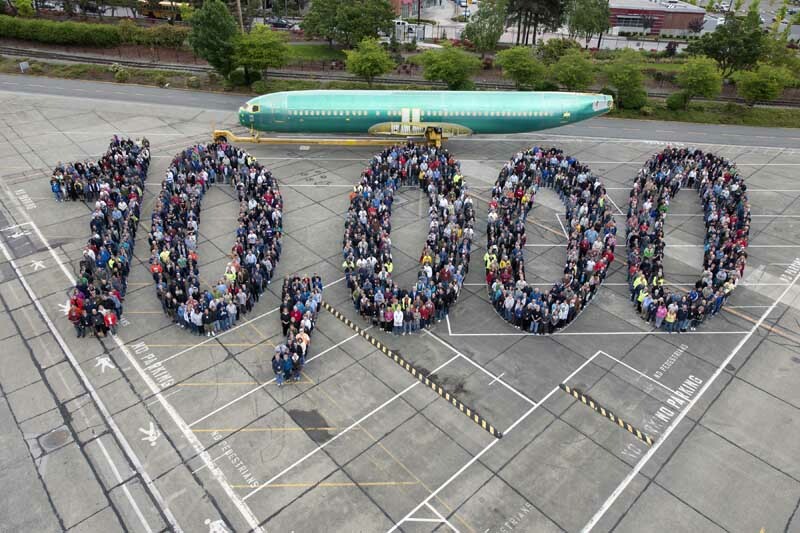 The 10,000 figure should be seen as a reference point. The amount of work needed depends on the size of your goal. The bigger your goal, the more work required. If you want to be internationally renowned in your field, meaning surpassing all other people who are also working their butts off to carve a name for themselves, then 10,000 hours is definitely a minimum commitment. I’d say that learning and mastery never ends and it’s a matter of striving to be better than you are now. For me, I’ve been writing articles for the past 7.5 years. If you assume that I spend an average of 5 hours per day writing (I definitely spend more time than that on many days; sometimes I can be writing the whole day), that’s 5 hours x 365 days x 7.5 = 13,688 hours. Here, “writing” applies to copywriting, article writing, writing content in my courses, struggling with blocks, etc. That’s 13,688 hours, which is a lot of time. While I’m far from an expert, I can see how my approach to writing has changed over the years — in a good way. While at the beginning I would struggle with writing/rewriting/editing a piece, now I can better tell when an article is heading in the right direction and how to steer it to that direction. While I used to create article outlines before writing, now I can just jump right into writing. While at the beginning I would only to know whether an article would be well-received or not after publishing it, now I can sort of tell how the audience would receive a topic or a style of writing before publishing, and consequently shape my articles to get the best impact. I’m now able to write more productively. I used to get “stuck” in my articles sometimes — where nothing I write sticks and the more I write the worse it becomes. Now I know how to get into the right state to create inspired content, and when to stop and rest. I know what are the best environments to help me get into the flow — and the ones that don’t. This means I’m now more strategic about changing/creating the right environment to get into the writing zone. It hasn’t been a linear journey either. It’s not like I wasn’t good in the first year and I got good in my second year. Or that my first 3 years of material were crap and everything from my 4th year became great. I see this as a journey with different bumps. For example, there was a period where I spent a great deal of time improving my English by researching and studying the technicalities of grammar and American English (I was raised using British English) — things that the layman English speaker or writer won’t care about, but it’s important for my writing. There was a period when I was afraid to publish anything because I was afraid of countless negative judgment which has become typical of an overcrowded internet; subsequently I realized that this is just noise that comes no matter what I do, and it’s about following my inner voice vs. cluttering myself with what others think. Then there was another period when I struggled with getting words out only to realize that my environment was stifling me, and I needed to change it. Once I did that, my writing began to soar. Overcoming each bump takes experimentation and self-awareness. Sometimes there’s a lot of pain involved. But I find that each time I overcome an obstacle, writing becomes easier. It’s as if I’ve just unlocked a new aspect of writing that I didn’t know before. And I only got to know this because I’ve done the grunt work in busting my (inner) blocks. I’ve observed the same thing with other skills too — coaching, speaking, critical thinking / analysis, marketing, web coding, web design, audio editing. There’s always the initial struggle. And the self-doubt / mental blocks where you know your desired output but you aren’t quite sure how to make it happen. And then there’s the “messy” stage where you are deep in the trenches trying to figure things out. And slowly you are able to “swim” and create some semblance of results. And gradually you see things at a more strategic level and learn how to go from vision to end outcome in the most effective, efficient way. If I look at the people around me, the same applies for them. All their skills have been acquired through time, hard work, and experience. I genuinely can’t think of anyone who is just “born” with their skills. Perhaps some people may think that they were “born” with their skills, but when you dig deeper, the opposite is true. If you ever come across people who achieve results seemingly due to aptitude than hard work, there’s a good chance that they have invested tons of hard work. It’s natural to jump to a conclusion that people achieve success without much work, because you don’t see the hard work, only their success. Yet, closer examination usually reveals otherwise. For example, when I was in school, there would be students who seemed to breeze through tests and get great results. What many didn’t know was that behind their great results, were many extra hours spent in self-studying. Hours of private tuition that their parents put them through. Assessment books done ad nauseum. Strong foundation in the topics due to their earlier years of schooling where they had invested the same hard work in their studies. Another example: When I was in my previous corporate job, there was a handful of people who stood out against others. These people invested extra time in getting their craft right — whether it was in the technicality of their work, their collaboration skills, or networking skills. Even for people who seemly had a natural flair, it was because they had prior experience in X or they had specialized in a degree that gave them that knowledge or they took up some internship/job that gave them those skills. So why do so many people think of talent as being something innate that only some have? I suspect one reason is because the media tends to romanticize the successes of the “have’s.” They make them seem like some magical beings who have special powers that us “mere mortals” don’t have. Another reason is because people usually only see top performers when they have achieved a certain expertise. They don’t see endless hours invested before this expertise is attained. Without knowing that, it’s easy to jump to conclusions and assume that they have always been this good all along. Do you have a goal where you feel you lack the talent to achieve it? Believe it or not, you already have the aptitude required to achieve your goal. The missing piece of the puzzle is not the lack of talent, but your readiness to put in the grunt work. Rather than see talent as something innate in certain people, recognize that talent is innate in you too. You just need to put in the hours to bring this “talent” out of you. If you start seeing that Talent = Aptitude + Hard work, where aptitude is already present in everyone and hard work is the real variable in the equation, you will start to have a lot more power over your goals. What are the areas you want to be talented in? Identify them. How can you get started on this new plan? Work out your schedule.